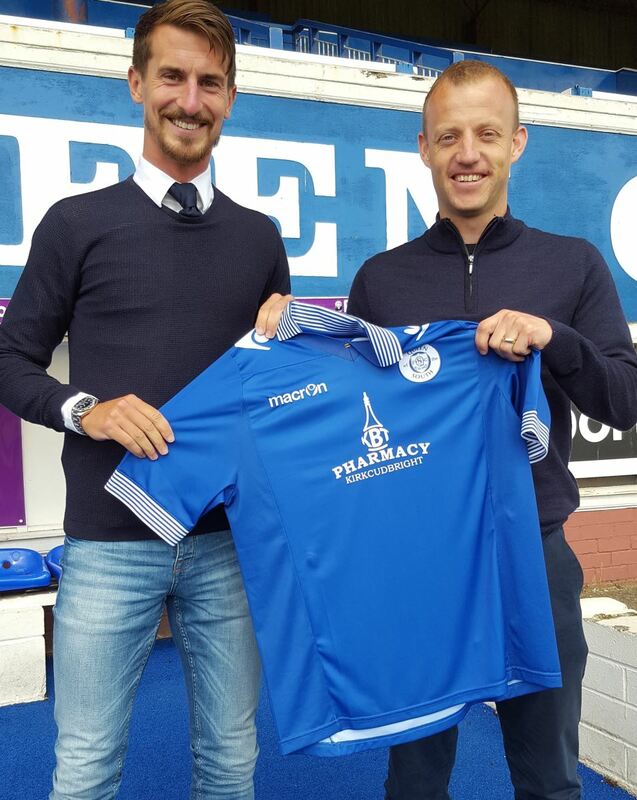 The former Hamilton and Raith Rovers winger Grant Anderson has become manager Gavin Skelton latest recruit of the summer. The 29 year old was at Palmerston this morning to sign a one year deal. Grant who has five years experience of playing in the Championship, admits it was a "no brainer" to join Queens. "I'm delighted to join, the Gaffer made it very appealing and the fact that he chased me is a big compliment, that's always a big factor when the manager wants you. I've been in the Championship for five seasons, the standard has raised over the past few years, with the likes of Rangers, Hearts, Hibs and now Dundee United. So it's a really good league to be part of but a hard one to get out of, but I think it's an exciting brand of football. The last couple of seasons, there's been a team that's run away with the title. I don't think that will happen this year, I think it's going to be even more exciting and tighter and hopefully I can help get Queens into the play offs". "I will work hard, have plenty of energy and give one hundred percent. I like to score as many goals and provide assists as much as I can so hopefully I will get higher up the pitch, having listened to the Managers ideas I'm confident I can fit into the way he wants to play and slot in no problem. Queens are a great club and have good players so it was a no brainer really". With pre-season due to get underway in two days, Gavin was delighted to complete the deal, "We're just two days away from starting now so it's exciting, it's been non stop since I got the job but I'm pleased that I'm getting the squad how I'd like it. It's great to have Steven and Jamie on board and now Grant. He was a player I liked last year - he had other options so I'm delighted he's agreed to join us. He likes to deliver, has good pace and is a good size so I hope he'll be a good addition to the squad". Another player who will be at Palmerston next season is Kyle Jacobs who has taken advantage of a clause in his contract to sign for another season with Queens. Although mainly a midfielder, the South African born player can cover a number of positions and played full back on a few occasions last season. His versatility will be vital in the season ahead. We welcome him back.